The answer can be summed up in one word — EDUCATION. Rather than simply dismissing Scientologists as examples of “blind faith,” it’s far more useful understanding how they were blinded. One of the largest online archives with a trove of historical articles, reports and documents about Scientology is the Cult Education Institute. 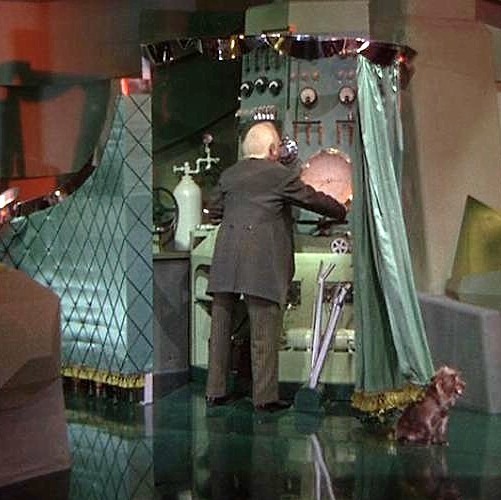 An illustration of the process of deprogramming can be pictured by the action of the little dog Toto in the movie “Wizard of Oz.” In the climactic scene of the film classic Toto pulls back the curtain and exposes the man and machinations, behind the facade that is the mystical “Great Oz.” It is through this exposure that Dorothy and her companions realize they have been tricked and manipulated. They are then freed from their former fears about Oz. Today people can pull back the curtain on groups called “cults” like Scientology through research and study, which is made easier by the Web and information technology. My recently published book “Cults Inside Out: How People Get In and Can Get Out” is a synthesis of this specific research from the fields of sociology and psychology that includes substantial historical information. All of this material is carefully footnoted and attributed. There is also a very detailed, up-to-date and precise explanation of how deprogramming actually works illustrated vividly through case vignettes used as working examples. This book is based upon my more than 30 years of experience exploring the world of cults and facilitating hundreds of interventions to get people out of destructive cults. The book is being published in Mandarin for the Chinese market. The English version is now available on Amazon.com. Included are two chapters about Scientology. One about Scientology itself and another specifically detailing the deprogramming of a man who spent 27 years in the organization, but left through a family intervention. Could Tom Cruise or John Travolta be successfully deprogrammed? Sadly this seems unlikely, because both of these movie stars have no one to get them out. Deprogramming a current member of Scientology would depend upon the concern and support of family and friends. 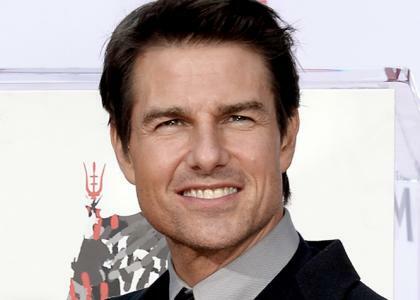 Tom Cruise’s three ex-wives, Mimi Rogers, Nicole Kidman and Katie Holmes, apparently have left Scientology. But it’s doubtful that any of them or Cruise’s family, who are Scientologists, would help to get him out. 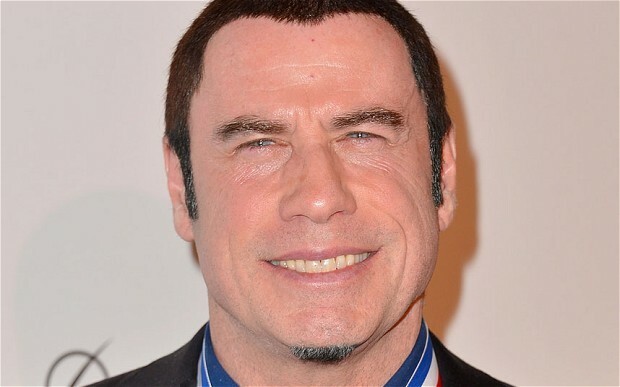 John Travolta is a pitiful example of someone that seems too afraid to leave. It appears that Scientology knows most if not all of his secrets, which they accumulated by providing him with spiritual counseling services called “auditing.” Kelly Preston, Travolta’s wife, is a deeply devoted Scientologist. And John Travolta’s extended family seems unwilling and/or unable to do anything about his involvement with the group no matter how much bad press the purported “cult” receives. Scientology can be very nasty when it comes to its treatment of ex-members, even Hollywood’s elite, just ask Paul Haggis, who was ostracized by his Scientology friends when he left. But if John Travolta and Tom Cruise genuinely wanted to unravel the Scientology programming instilled in them through endless courses, training routines and auditing sessions, it could be done through the educational process known as deprogramming. Cult interventions are done with the help of family of friends, much like an intervention to address concerns about drug or alcohol abuse. What occurs in such an intervention is essentially a dialog or discussion. During this discussion those present offer their sincere impressions, first-hand observations and opinions about the group or leader that has drawn concern. My role during such an intervention is to facilitate and often lead the discussion to focus attention on specific points. There are four basic blocks or areas of discussion essential for the completion of a potentially successful intervention. What is the nucleus for the definition of a destructive cult? How does the process of coercive persuasion or thought reform used to gain undue influence really work? What is the frequently hidden history of the group and/or leader that has drawn concern? What are the concerns of family or friends? Rather than focusing on what the group believes an effective intervention instead must focus on how the group is structured and behaves. That is, if it is structured like a destructive cult and behaves like a destructive cult, it may be a destructive cult. For example, does Scientology acknowledge that its charismatic founder L. Ron Hubbard made mistakes? Do Scientologists today feel free to discuss the mistakes made by their current leader David Miscavige? If so, what mistakes specifically made by these men do Scientologists feel free to discuss? Did Hubbard become an object of worship? Does David Miscavige today occupy the position of an absolute dictator? If this is not true what are the limits of Miscavige’s power over Scientology staff and what boundaries exist to limit his authority within Scientology? Does Scientology practice thought reform or coercive persuasion to gain undue influence over its members? This can be seen by comparing Scientology training, polices, practices, behavior and group dynamics to eight criteria that define a thought reform program as outlined by Robert Jay Lifton in his seminal book “Thought Reform and Psychology of Totalism.” Essentially, Lifton explained that if a group can substantially control whatever information and impressions enter into a person’s mind the group can largely control the individual. This includes the control of information, group behavior, emotional manipulation and ultimately the restriction of critical thinking. How does Scientology do that? This can be seen in part through the auditing process, which solicits confession, encourages suggestibility and engenders dependency upon the auditor and the organization to make value judgments, either directly or indirectly. It is also evident in the control over personal associations accomplished by declaring someone a “Suppressive Person” (SP) and the practice of disconnection, which is cutting people off that Scientology has labeled as an SP. The label of SP itself can be seen as what Lifton calls “loaded language” used to inhibit critical thinking and restrict reflection? Finally, does Scientology hurt people? The evidence mounting through personal injury lawsuits, bad press and now documentaries, is that Scientology has apparently hurt many people. In a Scientology intervention it is important to examine the mythology that revolves around L. Ron Hubbard. This can be a curtain puller or reality check for many Scientologists. 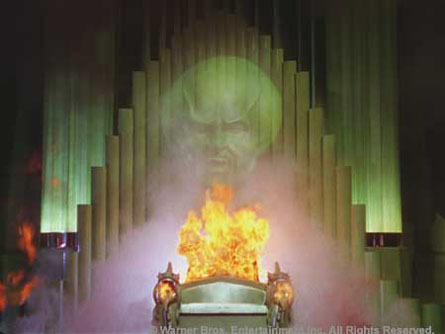 That is, the historical facts about the wizard of Scientology. 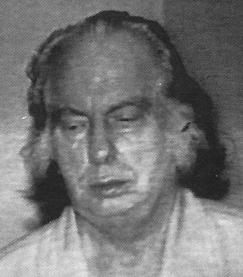 According to a coroner’s report, Hubbard ingested drugs prohibited by the religion he created. Would Tom Cruise take Vistaril? Would he recommend it to a friend suffering from stress and/or anxiety? If the pseudo-science of Scientology calls its “technology” couldn’t clear its founder’s mind and save him from seeming insanity how can Scientology (per its mantra) “clear the planet”? The book “Cults Inside Out” goes into all of this in far greater depth and detail chapter after chapter, explaining how groups called “cults” use deception and mind games to manipulate and control people. The book can serve as an educational self-help guide to pull back the curtain on any cult scheme. It can assist concerned families to help loved ones out of a cultic situation. And it can also help cult victims sort through and clear the residue of cult involvement, which often can impede recovery from cults. To my critics who have often called me a “dog feeding on my own vomit,” my hope is to be a dog like Toto. That is, by sharing the relevant research and my many years of experience through the book I might pull back the curtain a bit and contribute to the growing awareness about destructive cults. Margaret Singer once told me that the principle difference between a cult leader and a con man is that a con man typically runs his scam and moves on, but a cult leader may essentially run the same scam on many of the same people indefinitely. Knowledge through specific education about destructive cults and how they work is the key to freedom from their undue influence and exploitation. Note: At the time I wrote the book Cults Inside Out: How People Get In and Can Get Out I had facilitated approximately 500 cult interventions. More than 70% on an average annually left the cult at the conclusion such intervention efforts. My book is the product of more than three decades of experience. I have also been qualified and testified as an expert witness regarding groups called “cults” (e.g. Scientology) in about 20 court proceedings across the United States, including United States Federal Court after a Daubert hearing. Given the criteria you have above, do you consider the mainstream LDS Church a cult? Thank you. No. The LDS Church has evolved over the years into an organization with various layers of governing bodies. There is not single living man that is an absolute dictator and object of worship within the LDS. Like the Pope the President of the church is elected.